Has your child got reflux? Then mama, you have my sympathy. My daughters reflux is one of the hardest things I’ve had to deal with as a parent. If you haven’t dealt with reflux that can sound daft, it’s just a bit of vomit, right? 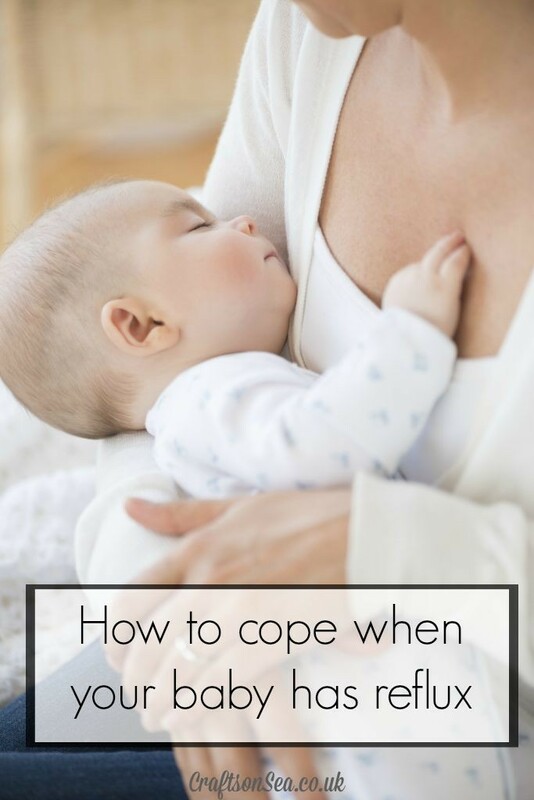 But if your baby has reflux you’ll know the seemingly never ending sleepless nights, how it feels to see your child being ill again and again and of course you’ll also have the added joy of being out in public in clothes splattered in sick. Yep, I’ve been there. For a long period of time I was only getting four hours of sleep a night and to be honest I kind of lost the plot a bit. Actually I lost it quite a lot, there’s a reason why sleep deprivation is used as a method of torture. 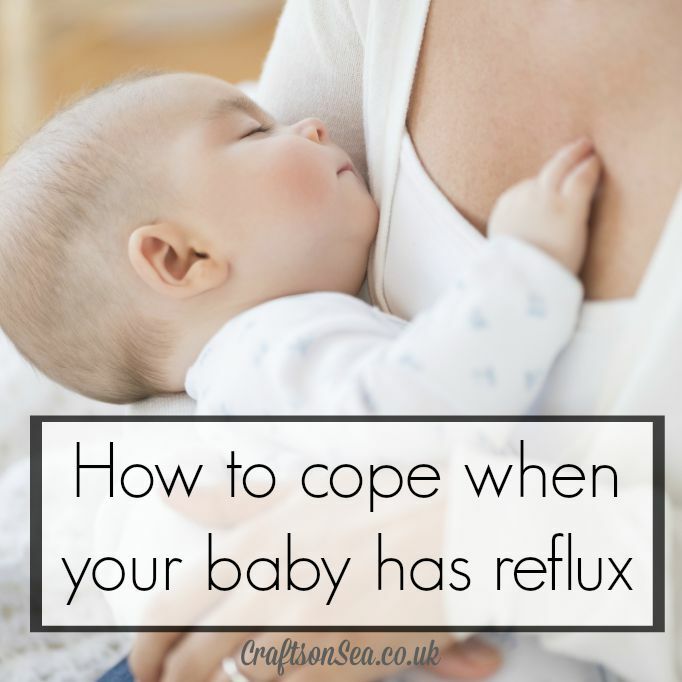 As my eldest child was never sick as a baby (true fact, we never even used a muslin with him) I had no idea what reflux was or how we could help our daughter so I’ve put this together as a little guide for parents who are going through it at the moment. Obviously I am not a doctor so do speak to your GP, consultant or paediatrician but hopefully this will help some parents that are looking for some advice on reflux from a mum who’s been there. Many babies will bring some milk backup after a feed and that’s perfectly normal. The NHS has a great list of signs that you should see a GP, which include frequent projectile vomiting, difficulty sleeping and irritability amongst others. In my experience the difference between a ‘normal’ bit of milk coming up and reflux was whether I would have to change my clothes or mop the floor. Hold the baby up after a feed – I would hold my daughter upright for at least 30 minutes after a feed. It was awful at nights but if I lied her down before then I could see that she was in pain. Experiment with how long you need to do this for, don’t do 30 minute stretches if you can get away with five! Prop up the cot – You can buy things on Amazon to help prop up your baby’s matress but I found that putting a couple of books under the bottom of the moses basket at the end her head was at worked just as well. She spent the first few months resting on a self-help book and the Bible! Burp your baby regularly during a feed – when we bottle fed our daughter we would often take her off the bottle every ounce or two and wind her before she had any more. Take spare clothes for everyone – don’t just pack for your baby when you go out, chuck something for yourself in the changing bag too. It’s no fun to wear wet, messy clothes in public. Get that dry cleaning done – I didn’t dry clean my coat for six months because I didn’t see the point, sure I’d dab clean it but I didn’t dry clean the whole thing because I knew it would have sick on it again within an hour of me collecting it. With hindsight? Totally should have got that done. A couple of people said ‘oh yeah! I can see it’s got some sick on it!’ Not good for the psyche, even if you only get an hour of clean stuff at least you get an hour. Have a shower – I’ve read baby advice books before that question if you really need a shower everyday, after all, isn’t sleep just as important? Get a shower. Everyday. Until you get this under control there’s a good chance there’s a bit of sick in your hair that you’re too darn tired to notice. Get one of those shower gels that promises to wake you up and demand that someone keeps an eye on your kid while you spend 5 minutes making yourself human. Ask for help – Even if it’s just form someone to look after your baby while you have a nap or a shower. Speak to a professional – Whether it’s to get some help for your baby or for yourself it’s really worth speaking to a professional for a bit of advice that’s not clouded by a lack of sleep. Medication – my daughter was prescribed Gaviscon and ranitidine or omeprazolecan also be prescribed. What is Baby Led Weaning and is it right for your family?